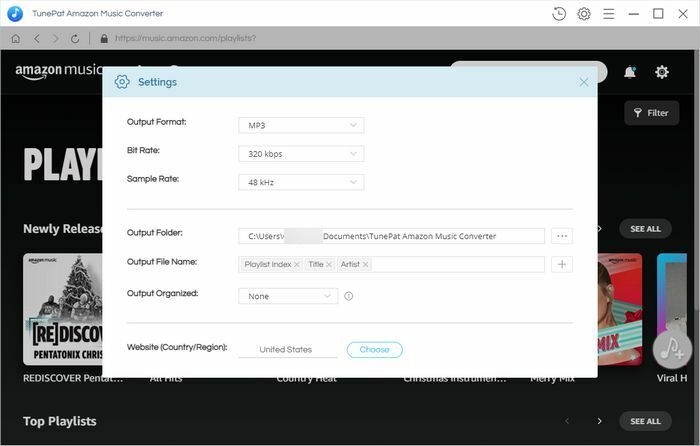 TunePat Amazon Music Converter is specially developed to help users download any track, album or playlist from Amazon Music Unlimited & Prime Music to MP3, AAC, WAV of FLAC without needing to install Amazon Music app. 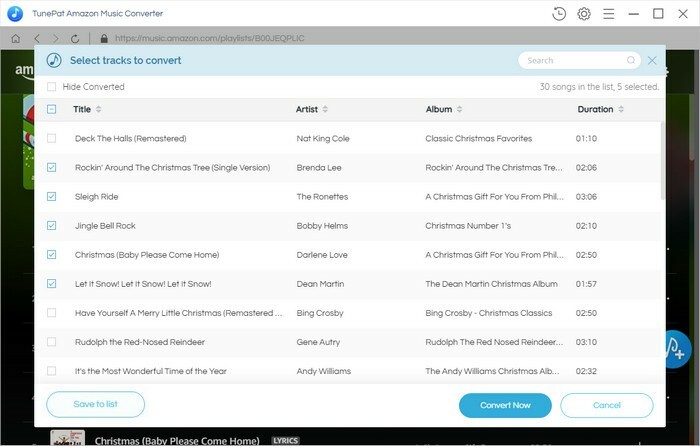 With this Amazon audio converter, users can transfer Amazon songs to any portable devices for offline listening. 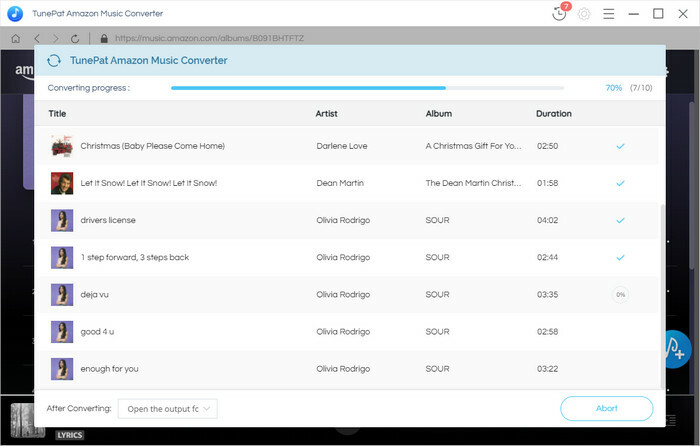 TunePat Amazon Music Converter can operate perfectly without needing to install Amazon Music app on your machine. You just need to log in your Amazon account on TunePat, then add Amazon album, artist or playlist to convert it to MP3, AAC, FLAC or WAV. You can feel secure to log in Amazon account and TunePat will not take any information out of your account. 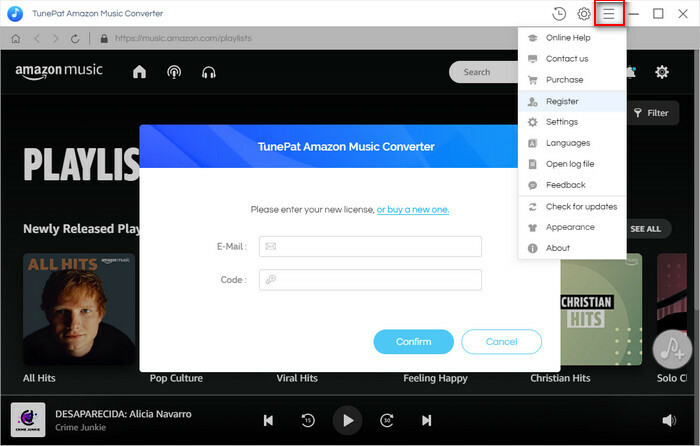 Step 1 Run TunePat Amazon Music Converter on Windows PC and sign in with your Amazon Music Unlimited account, then directly click on the icon and "Regsiter" to open the registration window as below. Step 2 Then copy and paste the registration Email and Code you received into the registration popup window. 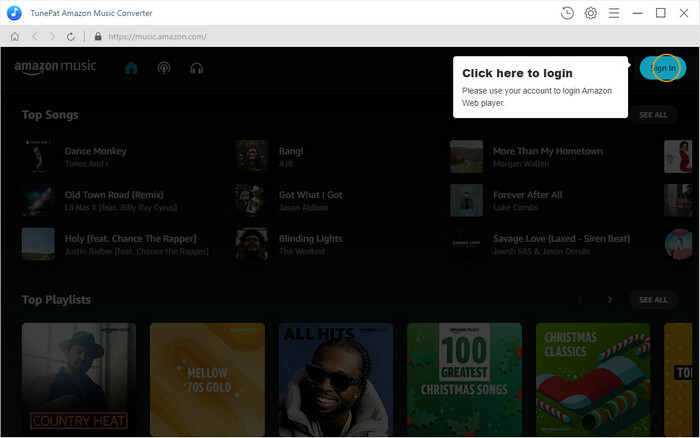 Step 1 Run TunePat Amazon Music Converter on PC, then log in your Amazon Music account. Note: TunePat will not take any information out of your account. Step 2 Click on the button on the bottom right corner to customize the output settings: Output Format (Auto/MP3/AAC/FLAC/WAV), Output Quality (256kbps, 192kbps, 128kbps) and Output Path. And you can choose your counrty/region here. 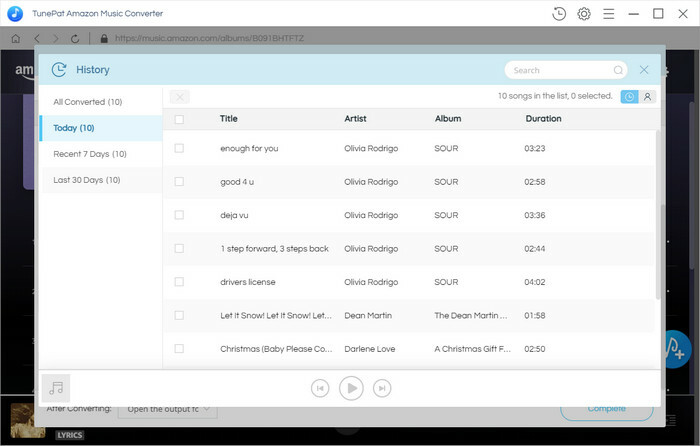 Step 4 Click on "Convert" button to start converting the Amazon songs to the output format you chosen. Step 5 After the conversion completed, you can click on to find the well converted music from local drive.